The Honourable Leona Aglukkaq, Minister of Health, has announced new regulations that will change the way Canadians are allowed to access medical marihuana. Under the new regulations, production will no longer be allowed to take place in homes, and municipal zoning laws will need to be respected. Landlords may welcome the news because the change could make it easier to navigate local bylaws, and also reduce crimes such as theft and the sale of surplus marihuana around rental properties. Marihuana growing also can cause water damage and mould. Since its introduction in 2001, Health Canada’s Marihuana Medical Access Program (MMAP) has grown exponentially, from under 500 authorized persons to over 30,000 today. This rapid increase has had unintended consequences for public health, safety and security as a result of allowing individuals to produce marihuana in their homes. The new Marihuana for Medical Purposes Regulations aim to treat marihuana as much as possible like other narcotics used for medical purposes. The regulations will provide access to quality-controlled marihuana for medical purposes, produced under secure and sanitary conditions. In order to facilitate the transition from the current program to the new regime, both will operate concurrently until March 31, 2014. Effective April 1, 2014, Health Canada will no longer produce and distribute marihuana for medical purposes. 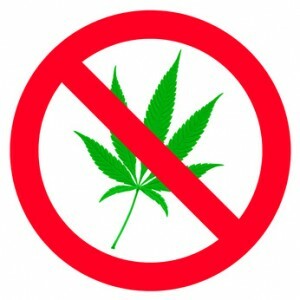 The current Marihuana Medical Access Regulations (MMAR) will be repealed on March 31, 2014, when the new regime is fully implemented. The new Marihuana for Medical Purposes Regulations (MMPR) will be published in the Canada Gazette, Part II, on June 19, 2013. For a copy of the new regulations in advance of the June 19 publication date, please email: mmap-pamm@hc-sc.gc.ca. Next post: What Should I Ask Previous Landlords?